Jeffrey Zaslow, a longtime Wall Street Journal writer and best-selling author who died in February at age 53, wrote unforgettably about life’s milestones, from birth to marriage to death. He would have passed one of his own on October 6, 2012, his birthday. To commemorate the date, Jordan Zaslow, the oldest of his three daughters, remembers what it was like to read her father’s words—both private and public. Zaslow was perhaps best-known as the coauthor of “The Last Lecture” (2008) with Randy Pausch. 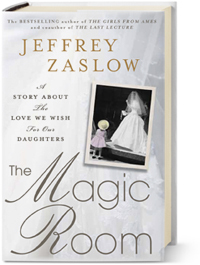 Jeffrey Zaslow was an author and columnist who often wrote about the love he had for his three daughters. Tragically, he was killed in a car accident earlier this year. His daughter Jordan talks about the paperback release of his book, “The Magic Room,” and the legacy he left behind. If your book club would like to read The Magic Room, and want Jordan Zaslow to call in and answer questions, please email your request to jordanzaslow@gmail.com. Shelley Becker Mueller, owner of Becker’s Bridal, also is happy to call in. 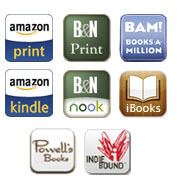 For a look at how Jeff interacted with book clubs that read The Girls from Ames, click here.